Mark Choate had a tough game in the field, a good one at the plate. His Medicine Hat Blue Jays took the game, its fourth in a row, according to The Deseret News. "We're just real happy. It's nice to be winning," Choate, who made three errors, but picked up four hits, told The News. "One game, it kind of all came together." Choate went on from Medicine Hat to play two more seasons. It never came together enough for Choate to make AA. 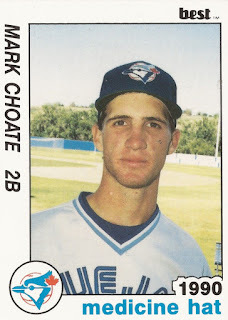 Choate's career began in 1990, taken by the Blue Jays in the 12th round of the draft out of North Bakersfield High School in California. 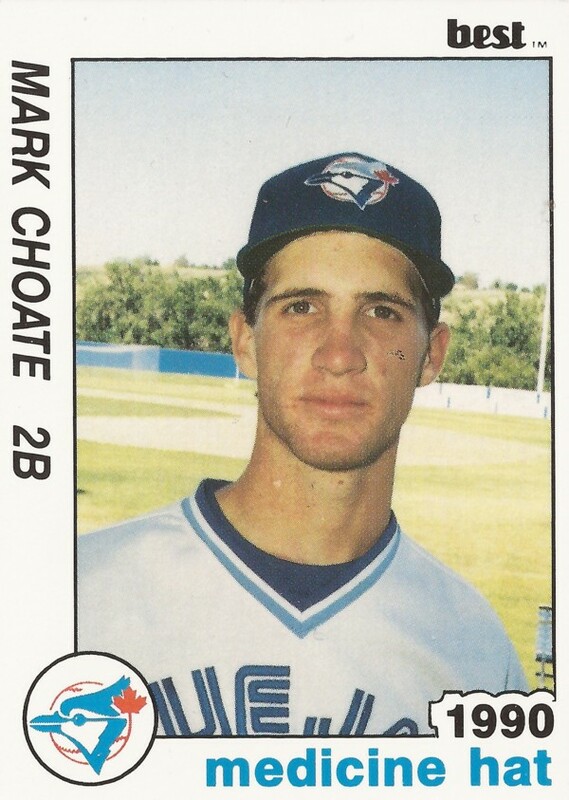 Choate started with Medicine Hat, getting into 62 games for the rookie league club. He hit .234, with two home runs. He walked and scored in one early game that summer. He also knocked in a run on a single in a July games. He moved to single-A Myrtle Beach for 1991. He played in 71 games, but hit just .183. He hit two more home runs. Choate played his final season in 1992 at short-season St. Catharines. In 68 games, he hit .226. He hit four home runs and knocked in 30, ending his career.